Have a hassle-free transfer from Jodhpur to Jaipur and on the way take a tour of Pushkar. Enjoy a hassle-free transfer from Jodhpur to Jaipur on a comfortable chauffeur driven vehicle. On the way take a tour of the famous town of Pushkar and explore its beauties. Jaipur is the largest city of the state of Rajasthan and is the capital of the state as well. Jaipur, the pink city is globally renowned for its ancient history and coloured gems. This fast-growing modern city is counted among the three corners of the ‘Golden Triangle’ which are Delhi, Agra, and Jaipur. Besides its ubiquitous pink colour, the Jaipur’s culture is very well witnessed through visiting the captivating monuments like City Palace, Amber Palace, Nahargarh Fort, Jaigarh Fort, Jal Mahal, and Birla Temple etc. on this private sightseeing tour of Jaipur. Your tour starts with a pick up from your hotel/airport/bus or railway station in Jodhpur city limits. 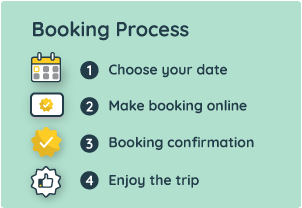 Select your pick-up time during the booking. You will first be travelling about 190 km Jodhpur to Pushkar. After the completion of your tour, you will be dropped in Jaipur hotel/airport/railway or bus station which will about 140 km from Pushkar and it would take you about 3 hours to reach there. Intrastate taxes/Local taxes (if any). Pick-up from Jodhpur hotel/residence/airport/railway or bus station. The drop-off in Udaipur hotel/airport/bus or railway station.